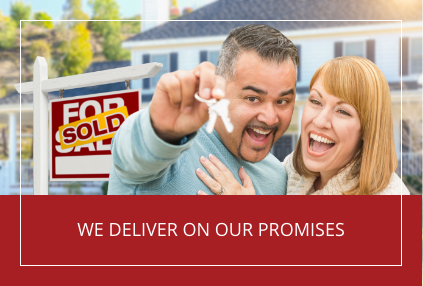 It is important to have complete information in order to prepare for and conduct your closing in an efficient and effective manner. This is all REQUIRED information for a Closing, so please fill out each field. It saves so much time for both of us if we aren’t playing phone or email tag with you to gather information! Use our ONLINE FORM and click submit. Download the form, complete it by hand/digitally, then upload it securely right on this page. Call us at 701-572-3381 to give us the information directly and we will fill in the form for you. Download, complete and fax to us at 701-572-8068. Email to Abstract@WilliamsAbstract.com through your normal email. The app is available for iOS, Android, Blackberry, Windows phone or via mobile web browser. Just search for “DeliverySlip”. You will be able to create an account with a password. You’ll know you are in the right place as it will show our logo and name at the top. Please use your legal name when registering, so that if we do send you documents to digitally sign, it’s not a nickname that shows up. Send them in the mail, UPS or FedEx. If you do not want to fill out your social security numbers online, we completely understand! Just type “call for number” into the field. We will contact you with any further questions or for further information. Not sure which form to use? 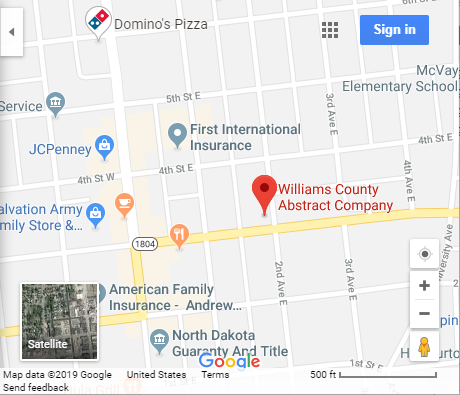 Give us a call or email Abstract@WilliamsAbstract.com to let us know what Service you need. We will be happy to answer any questions that you have and lead you in the right direction! Existing Mortgage If you have an existing mortgage on your property that you make payments on, we have a Mortgage Payoff Request that needs to be completed by you. This allows us to call the lender and authorizes them to send us a payoff statement. We will contact you to have that filled out and signed. When placing your order, please let us know the following, if any are applicable! If a Power of Attorney is required, please let us know when title work is ordered. A Power of Attorney must be prepared and approved in advance by both the Title Company and the Lender. If any party in title is deceased or should no longer be in title, inform us when title work is ordered. Advise us in advance if any of the parties have any special needs (physical limitations, special life circumstances, time constraints, etc). Tell us if your sellers are in the process of a divorce and are not amicable. We will prepare separate documents for each of them and we can schedule them to come in at separate times. Let us know if any party is unable to attend the closing. We can overnight or email documents out prior to closing, with original documents due back to us the day before the set closing. You are able to securely UPLOAD any of the other documents that we need right here on our site, such as the Purchase Agreement, any LLC/Corporate documents, Mortgage Payoff Request, etc., or you can submit them through our secure email portal as outlined above.